Taught solely in secret for millennia, the science of the seven rays was introduced outside of the ancient mystery schools of Western and Hindu tradition by some of the great occultists of the late 19th and early 20th centuries: H. P. Blavatsky, Manly Hall, C. W. Leadbeater, and Alice Bailey. 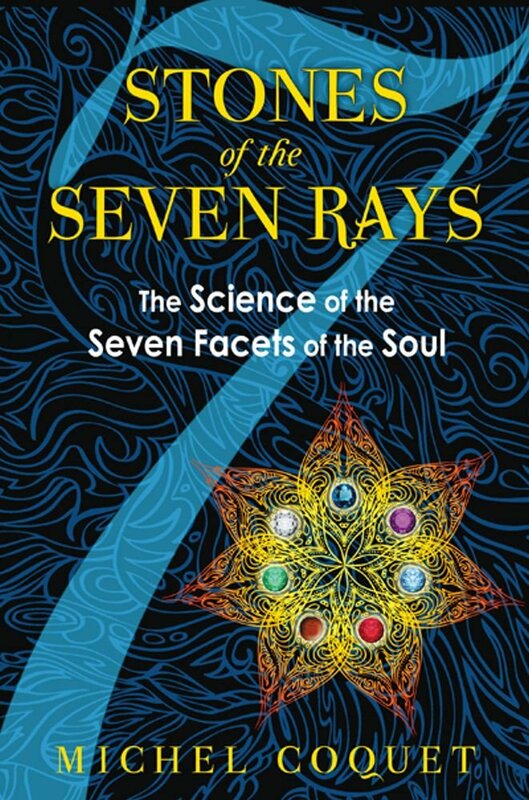 Based on the soul’s seven-faceted nature, the seven ray system underlies metaphysical traditions around the world through its connections with the seven musical notes in the scale, the seven days in the week, the seven chakras, the seven colors of the rainbow, and the seven sacred planets. Laying out the key principles behind this spiritual science, Michel Coquet explores the seven sacred gemstones of the seven rays--diamond, sapphire, emerald, jasper, topaz, ruby, and amethyst--and shows that not all precious stones have true mystical powers: they must be charged, either naturally or through ritual, with a living deva or angelic presence before they can effect spiritual transformation and physical, mental, and soul healing. Drawing on Hindu, Jewish, pre-Columbian, and Greco-Roman magical traditions with precious stones as well as their use by great initiates of history--including Hildegard von Bingen, Paracelsus, Cornelius Agrippa, Elias Ashmole, Nicholas Flamel, and the Count de Saint Germain--Coquet examines each sacred gem’s effects on the seven facets of the soul as well as their spiritual and therapeutic uses, the meaning of their colors, their influences on the chakras, and their use in amulets, talismans, and other magical tools. Illuminating techniques of invoking spirits into gemstones and reports of the power to enlarge diamonds at will, stones that produce anesthesia, and the use of gem medicines in India, Coquet reveals that while gems can influence our physical, mental, and spiritual well-being, without daily work toward a gem’s corresponding virtue, even a consecrated stone will have no effect, for the most beautiful gems are within. MICHEL COQUET is a scholar of Hinduism, esoteric Buddhism, and Eastern philosophy. An accomplished practitioner and teacher of martial arts, primarily traditional Budo, he is the author of nearly 40 books in French on martial arts, esoteric philosophy, theosophy, and religion. He lives in France.